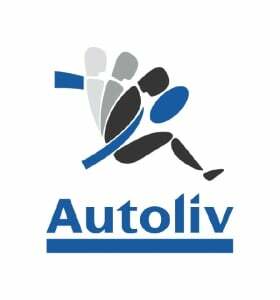 STOCKHOLM (Reuters) - Car safety equipment maker Autoliv is sticking to its 2011 outlook, but sees 2012 as difficult to predict due to the possibility of a global economic downturn, CEO Jan Carlson said on Monday. In an interview, Carlson said the company's budget would allow acquisitions worth about $1 billion. He noted that the company had said in its third quarter report that the auto market was softening. "One can see a gradual decline in vehicle production, but there are also big differences between different regions," he said. "On the other hand, things can move quickly, we also saw that in 2008." Automakers are trimming European production plans into 2012 in anticipation of a drop in consumer demand stemming from the sovereign debt crisis. "We do not know today what is going to happen, so one must be prepared," Carlson said. He said the company stood behind its forecast for 2011 sales growth of more than 15 percent and an operating margin of about 11 percent. He was more uncertain on 2012. "It is unusually difficult this year (to talk about next year). It will have to wait until February (for a forecast) ... But this year is more difficult than normal," he said.